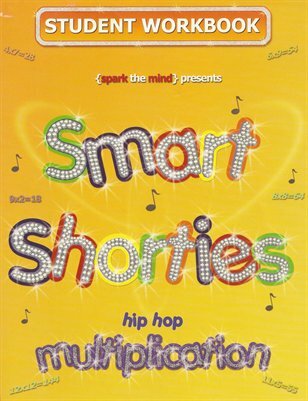 The Student Workbook is a compliment to the popular Smart Shorties multiplication songs, and covers times tables from 0 to 12. The exercises in the workbook not only help kids memorize the math facts, but also helps them understand exactly what multiplication is! Unlike the typical workbook, this colorful and exciting book is printed in full color and uses highly identifiable emblems of youth culture, which have proven to retain students’ attention. Smart Shorties enriches the already standing curriculum through an exciting and motivating way to capture students’ attention to math.